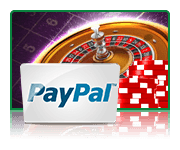 Getting money into and out of online casinos is far easier once you have a little knowledge of the way that the payment services operate. The key factor is whether you are based in the United States or an international player. You will also find that there are different solutions for players who deposit and withdraw often, compared to those making the occasional or smaller deposit. This page takes you through everything you need to know to get your casino account funded quickly and safely. You will find links to more detailed articles covering the individual deposit methods here too. The US laws do not make depositing at online casinos illegal for players. What you’ll find is that banks are prohibited from transacting with the offshore casino industry instead due to Unlawful Internet Gambling Enforcement Act of 2006. This means that direct payments from your checking account can be blocked if banks realize you are funding your casino account. Fortunately, there are many ways around these policies – ranging from international purchases on your credit card through to using money transfer services like the Western Union. Here are the major options for US players we recommend to use when funding your online casino account. As the offshore casinos get better at managing payment processors, Visa, MasterCard and Amex deposits get better and better results. You’ll find these go through first time reasonably often nowadays. You will need to spend the money internationally, so make sure that your credit card is authorized to do this. 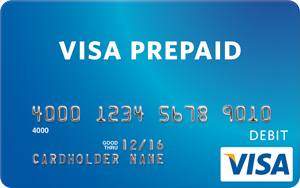 You can buy pre-paid Visa cards nationwide. These need to be approved for international purchases. If you are not sure, most casinos will be pleased to advise you on which brands are currently working. 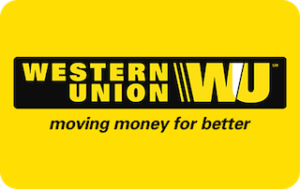 Big money transfer companies like the Western Union or MoneyGram can be used to transfer your funds. You will normally be transferring to an individual who is collecting money on the casino’s behalf. Charges are higher with this method, though the success rate is extremely high. Some casinos let you write the electronic equivalent of a paper check. Others are able to accept wire transfers directly from your bank. Wires are more commonly used for withdrawals than deposits. 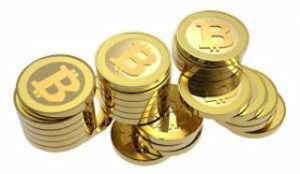 A new generation of casinos which accept Bitcoin deposits is springing up online. Many of these are unlicensed, so you’ll need to do due diligence. Depositing is very easy once you have a Bitcoin wallet set up for which you can find instructions on the your Bitcoin wallet’s site. Outside of the US, the options open right up. Many players simply use their debit or credit cards as a default. While this is the fastest option, it is not always the most secure or the cheapest method available. The main alternative is to use a 3rd party payment system which creates a secure layer between your bank and the online casinos. These are known as digital wallet services and include big names like PayPal and Neteller, along with many local and regional options. 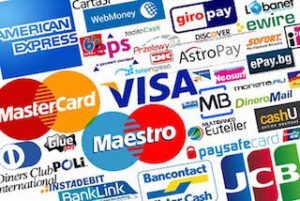 When you use one of these systems you do not need to give your card number to any casino, so the only risk is the amount of money you loaded into the wallet. There is a hidden advantage with these services too – the flexibility. If you keep a good proportion of your casino bankroll in an e-Wallet, you can move it around quickly to take advantage of any promotions and special offers which come up at different casinos. When the bonus is finished, simply withdraw back into your wallet and you’ll be ready for the next offer. If you prefer that extra level of safety, then there are voucher and pre-paid card systems which international players can use. These include UKash, EntroPay and PaySafecard. By funding them with cash, and then using them in the same way as cards, you’ll not even need to include your bank at all. International licensed casinos will usually pay your money back to the original method you used to deposit your money to the online casino. This helps them fight money-laundering and fraud. If you deposit $100 with a Visa card (for example), you will usually have to pay that $100 back to the same card before you are given other options with any winnings. MasterCard will not usually allow withdrawals so you’ll need an alternative . Both US and international casinos will usually ask for ID before processing any withdrawal. This can frustrate many players who do not expect it – though if you are prepared with scanned documents the verification is usually very quick and easy. The normal method of withdrawing from US casinos is via a paper check. Some casinos will send you this by courier (the alternative by post). You will also find some casinos who will use money transfer services which is quicker, though more expensive. Wire transfers are the other possible option.